An analysis of the armed conflicts of recent decades, which involved the use of modern weapon systems, suggests that their most distinctive feature is the transition from contact warfare, where the major role is assigned to attacks by ground combined-arms groups, to so-called non-contact forms of warfare, where air strikes by aircraft, first of all unmanned vehicles, and precision-guided weapons of various kinds dominate. Air cover to Land Forces (LF) and inflicting maximum damage to enemy aerospace weapons is provided by army air defense troops. Therefore the additional requirements imposed on the performance of army air defense SAM systems -high mobility, short emplacement time on an unprepared position after a march (less than 3-5 min for theater-level systems and less than 1 min for tactical ones) and short displacement time (3 to 10 sec for operational and tactical systems), unrestricted use of means of mobility of the same type as those employed by the covered troops in any weather and physiographic conditions, protecting the crews and equipment against small arms fire -radically distinguish them from similar SAM systems intended for local (point) air defense. In addition, the combat and technical support assets can operate independently at the level of both large and small units. Studying and analyzing the problems, the Office of the Chief of Land Forces' army air defense takes purposeful measures to comprehensively enhance the capabilities of the combat, reconnaissance and command & control assets. Together with the LF Major Command, in close coordination with the RF MoD's Aerospace Defense Development and Procurement Department and Main Missile and Artillery Directorate, it has been pursuing a common technical re-equipment policy and has identified the specific ways to retrofit army air defense units. manufactured in the 1980s - early 1990s. But the weapon development was going on. The existing fleet of armaments offers a significant growth potential, which, if realized, will ensure matching to modern threats and challenges. Efforts to upgrade in-service weapons and develop new advanced models have been undertaken and are under way. They are focused on providing maximum covertness of operations, reducing the direct fire preparation time, improving ECM immunity, increasing the firing capabilities, expanding the scope of targets and the engagement zone, increasing the covered areas while reducing or retaining the existing organization and establishment. As to service characteristics, much emphasis is placed on improving reliability, maintainability, extending service life, reducing the number of settings and adjustments, automating all processes, maximizing the use of common systems and devices, as well as on reducing the crew size and participation in operations and improving crew habitability conditions. For instance, the S-300V SAM system has been in service with air defense missile (ADM) brigades performing operational-strategic missions since 1988. The main types of targets (intermediate-range ballistic missiles, theater ballistic missiles, theater missiles and tactical missiles) as well as AWACS-type and strategic aircraft are engaged by hypersonic SAM equipped with a powerful directional HE warhead and flying at maximum (6-8M) and medium (5-6M) cruising speeds. The chassis of the system's combat assets uses the major units and components of T-80 and T-72 MBTs. • offers higher reliability (2.5-fold longer MTBF). This year will see the completion of the next upgrade phase, which will further improve these parameters 1.5 to 2.3 times. • can engage tactical missiles with a launch range of 150 to 200 km. The Tor-M1 SAM system has been in service with ADM battalions of motor rifle (armored) brigades since 1991. Its launch vehicle provides all-aspect engagement of air targets flying at up to 700 m/s through the use of surveillance and guidance radars and vertical launch SAMs. Such a layout makes it possible to conduct target reconnaissance (receive external target designation) when moving on any terrain and engage air targets from an unprepared position within 3 to 5 seconds after stop. In addition, the onboard computer system fully automates the target interception process and allows simultaneous engagement of up to two targets in a given sector. A new version, the Tor M2U, will begin to enter the filed next year. This is the sole system in its class in the world, which can simultaneously fire on up to four air targets. Moreover, compared to its predecessor, it has 1.2-1.4 times larger engagement zones in altitude, speed and course parameter. To further improve short-range SAM system capabilities, work on doubling the number of missiles carried on the launch vehicle (from 8 to 16) as well as target engagement range and speed is in the final phase. I'd like to dwell particularly upon man-portable air defense systems (MANPADS), because Russia is among the few countries in the world that can independently develop and manufacture such weapons. In our opinion, since this is the most popular and most effective air defense weapon on the battlefield, it offers much promise. Its maximum covertness of use, short reaction time, high accuracy, ease of training and use pose a serious problem to air threats. At present, the Igla MANPADS and its modern version, the Igla-S, handle their assigned missions. However, the air weapons and jammers continue to improve, both in numbers and performance. With this in mind, the following areas for MANPADS improvement are being developed: use of passive multi-band seekers, reduction in the weight-dimensional characteristics, increase in warhead performance and ECM immunity, increase in launch readiness time, capability of engaging UAV, increase in the engagement zone in range and altitude. Practice has shown that MANPADS' capabilities are 90% dependent on the level of gunner training. To exclude such dependence as much as possible, these systems need to be automated. 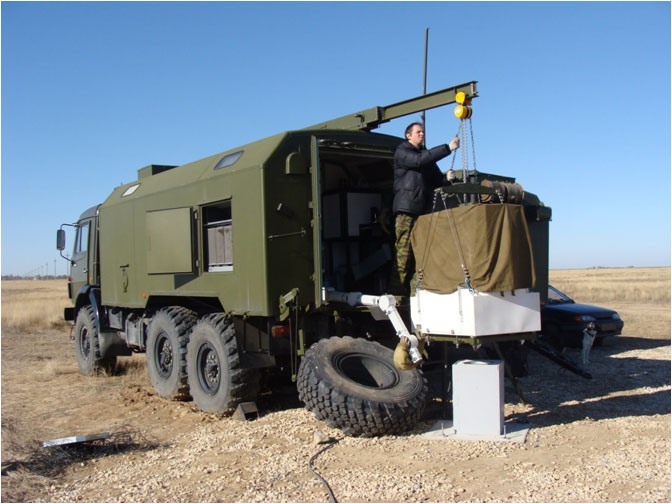 To this end, they are installed on all-terrain vehicles (like the Tigr armored cars and similar vehicles) and the technical solutions enabling automatic guidance and remote launch of MANPADS, found during the development of Gibka and Strelets autonomous self-defense modules for ships, are used. Preliminary calculations suggest that such solutions increase the expected number of destroyed targets, reduce the ADM battery strength and cut the unit training and team building time. The experience of wars and armed conflicts shows that no matter how effective was the weapon, the realization of all its capabilities, covertness and surprise of employment, battlefield survivability are impossible without integration with reconnaissance and command & control systems. Therefore, in parallel with weapons, a work package on improving the air target reconnaissance system and automated command & control equipment is under way. For LF AD troops, assimilation of modern reconnaissance and command & control assets is the most serious challenge in this area. In the near future the Polyana-D4M1 automated command & control system and its modifications will successfully cope with it at the operational-strategic and operational levels. Today, given the dense battle dispositions of motor rifle (armored) brigades and changes in their tactics, as well as the availability of various weapons (from MANPADS and artillery systems to SAM systems), it is most difficult to organize automated control of air defense units at the tactical level - covertness of engagement operations, proper distribution of efforts, efficient target assignment and designation. 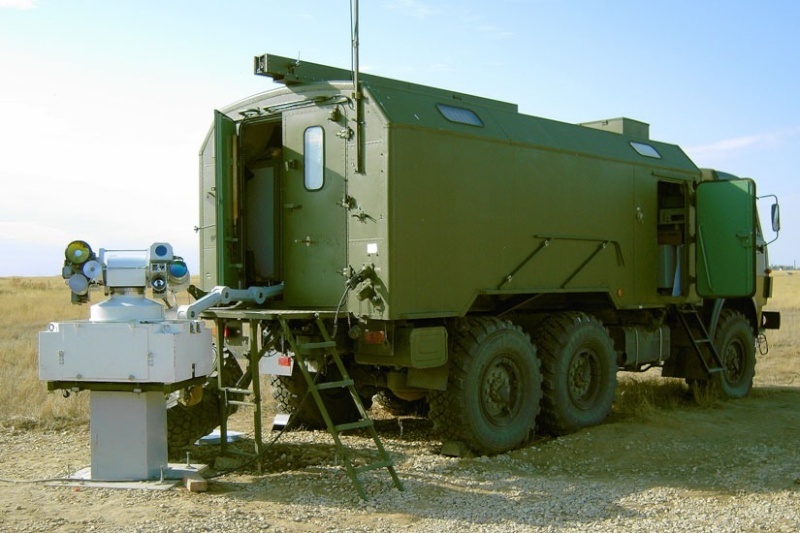 Because of this, different-type automation devices tools are being routinely replaced at the tactical level with brigade command & control kits, which are part of the Barnaul-T automation equipment set (AES). In terms of its basic characteristics - the number of handled air targets, number and type of superior, subordinate and interacting objects, communication range, scope of tactical and calculation tasks - the Barnaul-T is comparable to its foreign counterparts, while surpassing them in maneuverability, protection, interoperability of control assets, and task setting time. The single-type Barnaul-T armored command vehicles - from a motor rifle brigade AD officer to a ADM battery commander - share common software/hardware, communications and data transfer equipment, built-in radar and radio air target reconnaissance facilities. Such a structure allows continuous reconnaissance of enemy air targets and control of weapons and AD units of the motor rifle brigade in all kinds of operations (including during the march). In addition, complete automated interaction with the covered troops and senior army commanders drastically reduces the time to plan, prepare operations and recover battle readiness. In terms of its characteristics, the Barnaul-T is suitable for use by the Marine AD and Airborne units. In conclusion, it may be said that the role and importance of Land Forces' AD troops is steadily growing as the Armed Forces are being reformed. That is why the state armament program, which is being prepared, provides for measures to develop their armaments system. As RF First Deputy Defense Minister V.A. Popovkin noted, the Armed Forces in general, and Land Forces' Air Defense troops in particular, will be radically re-equipped in the coming years, both quantitatively and qualitatively. So the Barnaul system is more than just a suit... a bulky ugly suit at the moment. I think after studying FELIN that they might integrate the features and capabilities of the Barnaul suit into an air defence FELIN suit for airborne and navy AD units. The article also explains what S-300V4 is too. GarryB wrote: The article also explains what S-300V4 is too. So the S-300V4 performance will be 1.5 to 2.3 times of V3 making it roughly as good as Atney-2500. Actually I am guessing the S-300VM or Antei-2500 is actually the S-300V2. The first version was the S-300V, and the upgrade of that was the S-300VM. This article is talking about a further upgrade of S-300VM called S-300V3. The system that will actually enter production and service will be the S-300V4. I dont think they ever developed the VM or Antei-2500 from S-300V since they were targetted at export market Antei-2500 for India and no one ever bought the S-300V system , compared to S-300PMU which enjoyed great export success. So either these system didnt move beyond prototype state due to lack of funds and export customer or they simply did not get created. Lately I read Venezuela will be first export customer for Antei-2500 and S-300V4 will enter Russian army. Didn't you read the article you posted? The S-300V is the SA-12 system and entered Russian service in 1988. In the 1990s the Russians sold some components of the S-300V to the US and used the money to totally upgrade the system to S-300VM. I don't know if they upgraded their own systems... but I would guess they replaced most of the compromised components as quickly as they could. S-300 is an airforce/PVO system... the S-300V is the army system though there was some speculation that S-400 would merge the two it seems they like the S-300V series for the Army. The primary difference apart from completely different missiles is that the S-300V series is on all tracked vehicles based on the T-72 and presumably now the T-90. Even the radar vehicles. GarryB wrote: Didn't you read the article you posted? just because you export/sell stuff does not mean you compromise it else no one would be selling , you sell downgrades stuff and incase of radars you hide some ECM features and frequencies and reduce performance of exported system. I dont think VM was ever operational , it was the same V with some incremental backend improvements , infact S-300VM suffered the most in S-300 series due to lack of export potential. Are MANPADs also part of air force air defense (PVO VVS) or just in ground forces units (PVO SV). With Barnaul, they could be integrated in IADS and cover tho holes and shadows of larger SAMs. In those two pictures is interesting optical device/station. Maybe it is for testing measurements, but something similar could be used for visual observation posts in air defense for searching and tracking air targets and sending data of them to IADS centers, which compare their data with radar pictures and than deliver targets to SAM units. Your post no 47 above. The only paying export customer for S-300V... some of the ex soviet republics might have gotten a few units in the breakup. They sold a unit with a few secret vehicles/components missing in the 1990s and developed the S-300VM in the late 1990s... and in that time no other S-300V systems were exported AFAIK. S-300 series due to lack of export potential. The V series remained in operation and likely a few bits of the VM system might have entered service as replacement bits, and the improved missiles and systems were there if the Russian Army bought anything that is what they would have bought. The VM was designed at a time when the Army wasn't buying very much at all and the fact that it wasn't bought in numbers doesn't matter much because S-300V3 is actually VM2 and the S-300VM4 they will start producing is actually S-300VM3 so the effort and time and money was not wasted because it was just part of the development chain. It is the same with the T-95... it might have lost its funding, but something will be needed to replace the T-90 eventually and a few years of further development of the technologies developed for the T-95 will result in the T-95v3 or 4 or even 10, but the work on the T-95 will be of benefit. Yes, the Army wanted to protect itself from weapons like Lance II and late model Pershings, for which the S-300V is ideal. For the PVO however they want to clear the skies of all sorts of targets so the S-300 has capabilities against all sorts of high and low flying fast and slow threats. IADS and cover tho holes and shadows of larger SAMs. All BMP-2 and BMP-3 APCs have 1 or two gripstocks for MANPADS, and they also have specialist air defence units as well. I would suspect the PVO also has battalions equipped with them as well that might be deployed to likely approaches. For instance if a target is located on a completely flat open plain with a single hill located 6-8km from the target in a sensible defensive system you would want a radar and SAMs on top of that hill as well as SAMs near the target so there are no blind spots for radars or SAMs. There was a vehicle they displayed a while back that was a Vodnik chassis with a small turret on top with 4 or 8 MANPADS with totally passive IR sensors to find targets. The above MTLB chassis with 8 MANPADs on it would be equally as good for such a role as it has mobility and an all weather quality to it. I agree that using this Barnaul system individuals with MANPADs can cover blind spots and even boost the defences in some areas most likely to be attacked... you could deploy them in the path of a likely attack and give them advanced warning of approaching threats... from the targets perspective they will be flying along a path between hills to evade radar thinking about the target area ahead and all of a sudden lights go off and missiles start climbing up at them. Dropping flares and chaff and taking evasive actions like manouvering will put them on edge, use up some of their disposable ESM material and also put them on edge... and perhaps take out parts of the flight... all this makes the job for them harder and the job for the defence easier. data with radar pictures and than deliver targets to SAM units. Don't underestimate the performance of optical tracking systems... the Soviets and now Russians have optical tracking stations that can track paintchips in orbit at ranges of 8,000km more accurately than any radar. For the purpose of tracking a radar will take an average position for a target, which is often an average central point. From some angles for some shapes that central point isn't even inside the aircraft. As an example if you look at a doughnut shape from side on so you can see the hole the central point of the shape is in the centre of the hole and therefore not even inside the doughnut. More and more assets in the Russian military will have all weather day night optics and they will all be able to contribute information on the air situation, though most information will come from radar... radar that are turned on and radar that are turned of but just listening. A radar reflection from an object in the sky that is captured by a radar on the ground can give a precise direction and if several other radars get similar reflections you can line up the reflections and get a source even if the target is a stealth target and is redirecting its radar emissions away from the radar emitting the signal the radars that are just listening can detect the target... an optical system can confirm as the dark target covers stars as it flys past them. I don't think S-300V, S-300VM or S-300V4 will be very different in their outside, but very much inside, specially radar electronics, missile guidance electronics, missile homing heads, etc. Will S-300V4 get missiles with ARH, or they will use older way of missile guidance? Any new units of S-300V4 will be great improvement for ground forces air defense. True. But is a big difference if you have good working network of visual observation posts and if you don't have it. If you have that network, than you could turn off all your radars and you will still have a clear control of your air space. If you don't have it, turn off all radars and air defense is blind. 12:59 28/02/2011 MOSCOW, February 28 (RIA Novosti) - The Russian Ground Forces will start receiving a number of advanced weapons in 2011, including modernized S-300V4 air defense missile systems, the Defense Ministry said on Monday. The Ground Forces will continue to receive Iskander-M [SS-26 Stone] tactical ballistic missiles, new multiple-launch rocket systems, self-propelled guns, BTR-82A armored personnel carriers, and anti-tank missile systems. guidance electronics, missile homing heads, etc. The S-300V entered service in 1988 so we are talking about 286 computers being state of the art as well as Amiga 500s and Apple IIe's. The improvements in hardware, electronics, and even software would be mind blowing. You should also add improved warhead design and fusing and new rocket fuels offering higher performance too. I think you are missing the point. Russia doesn't need a network of radars. What they need is an air defence network that sensors of all types including both passive and active sensors that can plug in to the network to share data with all other assets connected to the network. The network will be built like the internet which has lots of hubs all over the place with multiple connections both wired and wireless so that if a hub is brought down everything has multiple connections and data can be rerouted so the system continues to communicate despite the damage. In such a setup you would never just turn off all your radars it makes more sense to keep many of your radars on but also a few will be listening rather than emitting. There are all sorts of things the Russians have developed to defend their radars and they include S-300 and Pantsir and SA-3 and TOR, but they also have decoy systems that transmit on the same frequencies as the main radar and take power from the main radar but are situated 400m or more away, so any ARMs detected can be distracted by stopping emissions from the main radar and emitting from the decoys, or a pantsir could simply shoot down the HARM and the radar being protected can continue to broadcast. If the ARM hits the antenna will likely be damaged or destroyed so the unit will move everything that survived and a replacement components brought in to replace the lost parts and it can start up a few hours later. Radar network and also visual observation network is not only a part of air defense, but also is part of early warning system, air space control, etc and it must cover the whole country's air space. in peaceful time to monitor air traffic and in war time to support air force and air defense. If you have long range SAM around 200 km away from the border and you have good visual network, you will have data of target even in heavy jamming to your maximum range of missiles and could engage those targets. I know Russian air defense is one of the best equipped with all those passive detectors, jammers, decoys, chaffes and flares, etc, and they still have strong air force, so attacking Russian air space is not very smart idea. The point is, that with air defense with all needed components and excellent integration and network is very hard nut even for air force with stealth technology and PGMs. Also that kind of air defense together with capable air force will force enemy air force to fly low to avoid long range SAMs and fighters, with what could become easy targets for SHORADs, MANPADs and AA guns. Will S-300V4 be new build systems or just modernized existing S-300V? medo wrote: Will S-300V4 be new build systems or just modernized existing S-300V? I suspect, but have not proof or evidence, that they will likely be new builds that will replace the older S-300V systems in service. Considering these first S-300V systems entered service in 1988 I rather doubt they had the money to buy all the systems they needed to fill the role, or the time to produce that many. With reduced forces size I suspect the first systems might simply fill out the force requirements with further production replacing the oldest systems in service. To spread the money further however I would expect some existing systems might get an upgrade or a few vehicles or radars from the new system to improve performance and I think that perhaps the production of the older missiles will reduce to zero with upgrades of older systems to allow them to fire the newer missiles and over time electronic upgrades to reduce maintainence costs and enable newer missiles to be used. The S-300V4 specs still remains classified and they arnt telling yet ,my bet would be its similar to Anetey-2500. S-300V was the base system and S-300V2 is therefore S-300VM, which is also known as Antei-2500. Do you think S-300V3 and S-300V4 had no changes or improvements? Is there a difference in performance between Su-300P and S-300PMU2? Not suggesting S-300V4 is better than S-500, but it will be better than S-300VM. Austin wrote: [Never heard of S-1000 project what it is ? S-1000 was a 1980s project to develop a long-range counter-ISR SAM system. It's design role likely got abosrbed by the S-400 and the S-500. GarryB wrote: S-300V was the base system and S-300V2 is therefore S-300VM, which is also known as Antei-2500. Not exactly. S-300V is a base family designator like S-300P. There is no S-300V system, just like there is no S-300P system. 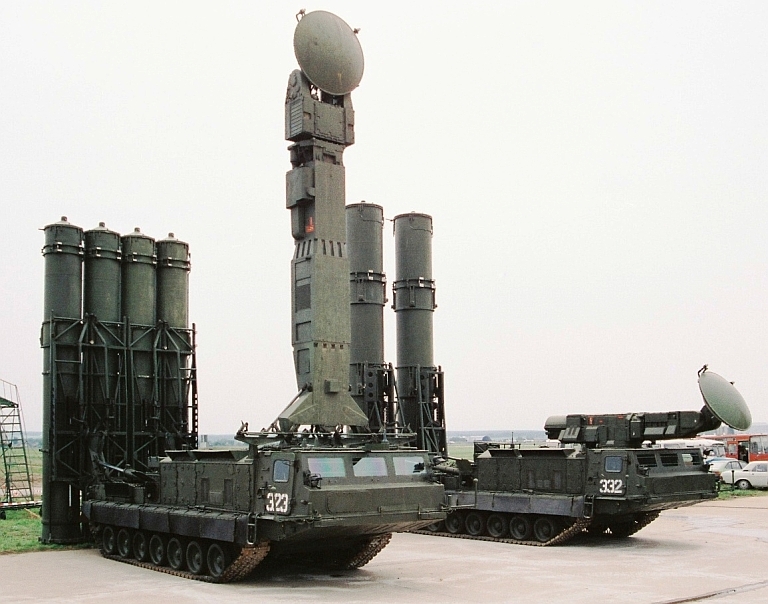 The S-300V1 and S-300V2 are the SA-12A GlADIATOR SAM and SA-12B GIANT ATBM systems. These became the S-300VM1 and S-300VM2 as the S-300VM/Antey-2500, or the S-300VMD as the Antey-2500D. S-300V4 likely represents further enhanced systems produced by incorporating Antey-2500 and other improvements. Wouldn't that therefore mean that they are adopting the S-300V4 and S-300V5 systems into service? The A and B are the two different sized missiles that basically served together. S-300V4 likely represents further enhanced systems produced by incorporating Antey-2500 and other improvements. But wasn't the Antei-2500 just an upgrade of both the existing S-300V missiles, so wouldn't you base the next upgrade on the Antei-2500 rather than base it on the earlier S-330V1 and 2 and apply the upgrades of the Antei-2500 and new upgrades? BTW I knew that the S-300V and S-300P were family names, though I didn't realise they gave different numbers to the two missiles that operate together as one system. Regarding the new upgrade, well incremental increases in performance are certainly likely, like extending the range to 250km, and perhaps the ballistic target range beyond 40km. Another possibility is that they might try to make the missiles smaller and lighter. The S-300V series is aimed at the Army mainly with all tracked vehicles able to move with army units. Perhaps S-300V4 is a lighter cheaper version that has been selected over the S-400 for the time being. The focus of the S-300Vx is defence from ballistic threats with the ability to deal with a range of other threats like cruise missiles and guided weapons like bombs etc. S-400 is able to deal with those and the launch platforms too. Antey 2500 performance is still quite great even by todays standard and will remain competitive for more than a decade , there are few missile on drawing board or operational that can boast of A-2500 performance. So even if S-300V4 reaches what Antey 2500 was suppose to be it wont be a small achievement. The original S-300V missiles have been in service for decades and in the 1990s the Russians sold parts of the S-300V system to the Americans... and they used the money to upgrade the system to S-300VM... in other words what we call the Antei-2500. Now assuming they have had a bit more funding and further upgraded the system to V4, do you think they would be upgrading the bog standard old system as a base, or would they base their new upgrade on the latest upgrade they had available. What I am trying to say is that unless there was a serious flaw in the Antei-2500 wouldn't they base future versions on it rather than the original model? And if that is the case that the V4 is an upgraded 2500 then shouldn't it improve on the 2500 in one or two ways? No Antey 2500 was an improved variant of S-300VM , it had the ability to intercept a IRBM class missile with a range of 2,500 km. It is not certain yet if an actual prototype was built but it was certainly dangled for export but it didnt meet much success yet. I read though Venezeula is buying the Antey 2500 system and its currently being built. Its a lot of speculation on S-300V4 unless they come up with concrete details. Austin wrote: No Antey 2500 was an improved variant of S-300VM , it had the ability to intercept a IRBM class missile with a range of 2,500 km. What. Antey-2500 is the export model of the S-300VM. Antey-2500D is the improved model. Yeah, Venezuela bought the system...which is hilarious. Where's their ATBM threat? Given that I think the S-300V is actually more expensive than the S-300P series per battery, Chavez got taken. The S-300PMU-2 or S-400 would have been far more rational purchases given the threat environment. Not just missiles, the GRILL PAN radar also received a new array modeled after the HIGH SCREEN array to significantly boost performance in azimuth and altitude. S-300VM/Antey-2500 was a relatively serious upgrade, making it all the more interesting that the S-300V4 will likely enjoy further enhanced performance. So the D model is the S-300V4? The trend these days seems to be unification of systems where practical... I wonder if they will adopt a policy of sharing radars and sensors across the S-300VM, S-400, and S-500 batteries... no point in having 3 different unrelated radars and support vehicle designs if they could be made the same in larger numbers. For close range engagement T-50 may use K-74M2 short range AAM , the missile has a matrix IR seeker head capable of discerning real targets from decoy and having twice the lock on range of R-73 AAM. A matrix seeker is a FPA (focal plane array), or Imaging IR... in other words it is like a CCD chip in a digital camera that is basically a grid of light (or in this case IR) sensitive elements that when light (IR) energy is focused on it creates a 2D image that can be further processed. In this case K-74M2 is Morfei. Several advanced air to air missile is under development for PAK-FA, at ranges up to 250 km medium range AAM designated 180-PD and powered by Ramjet engine may be used. Which suggests their medium range missiles will go from about 40km out to 250km, and will likely include an AMRAAM and Meteor type equivalent. Their LRAAMs will obviously exceed 250km in range. The RVV-BD therefore becomes a medium range weapon by their designation, though it is a LRAAM for its export customers.